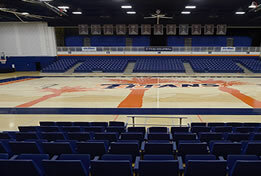 Cal State Fullerton named Jeff Harada its head womens basketball coach, Athletics Director Jim Donovan announced on April 17, 2017. Harada is the Titans 11th head coach in the programs 48-year history, after spending the last three seasons (2015-17) as head coach at Division II Central Washington University in Ellensburg. His accomplishments include a total of seven postseason appearances in 17 years of coaching including three trips to the NCAA Division I and II Womens Basketball Tournaments (2013, 2012, 2010) one trip to the Womens National Invitation Tournament (2014), two appearances in the Mens National Invitation Tournament (1999, 2000) and one trip to the NCAA Division I Mens Basketball Tournament (1997). Casandro Renno joined the Cal State Fullerton womens basketball in May of 2017 as part of first-year head coach Jeff Haradas staff. Renno recently spent the last three years (2015-17) of her career at Cal State Los Angeles as an assistant coach spearheading the teams recruiting efforts, overseeing team academics, facilitating community service, developing a life skills program, managing all camps and clinics, mentoring the point guards as well as organizing scouting, scheduling, travel, and equipment. Renno helped the Golden Eagles to a 36-46 overall record during her three seasons at Cal State L.A. as the team finished the 2016-17 season with a winning record of 15-14, the first mark over .500 for the program since 2014. In addition, Renno coached six all-California Collegiate Athletic Association players. Karlie Burris joined the Cal State Fullerton womens basketball coaching staff after spending five seasons (2013-17) an assistant coach at Northern Arizona, coordinating the teams recruiting efforts and handling scouting duties. On the court, Burris managed the NAU defense and specialized in developing the play of the Lumberjacks guards and swing players. She designed individual workouts, assisted in practice plans, served as an academic advisor, was the staffs liaison with sports information and compliance, helped facilitate community outreach and oversaw camps for two years. Burris guidance played a key role in helping NAU qualify for three consecutive appearances in the Big Sky Championship Tournament (2015-17). She also tutored two Big Sky Conference Freshman of the Year and coached eight players to all-conference awards while the team tallied 22 all-academic honors over five years, which included a two-time Academic All-American. Charel Allen recently concluded a nine-year professional playing career that included stops in Turkey, Bulgaria and Israel before she joined the Cal State Fullerton womens basketball coaching staff for the 2017-18 season as a first-year assistant. During her last professional stop, the University of Notre Dame graduate served as a player-coach for BK Montana 2003 during 2016 and 2017 in Montana, Bulgaria. Her professional highlights include being drafted by the WNBAs Sacramento Monarchs in 2008, winning a Womens Adriatic Basketball Association regular season championship in 2017 while also earning all-WABA first team honors that season. Allen was a Bulgarian League champion in 2012 and 2016, and also won regular season titles in 2010, 2012, and 2015, while capturing the Bulgarian Cup in 2010, 2011, 2012, 2015 and 2016.